Alongside the performance and price of new of jetting units, weight, size and efficiency are important factors in the purchasing process. At Rioned and sister company Andy Guest Jetters, the development of high-performance compact equipment has been a focus over many years. 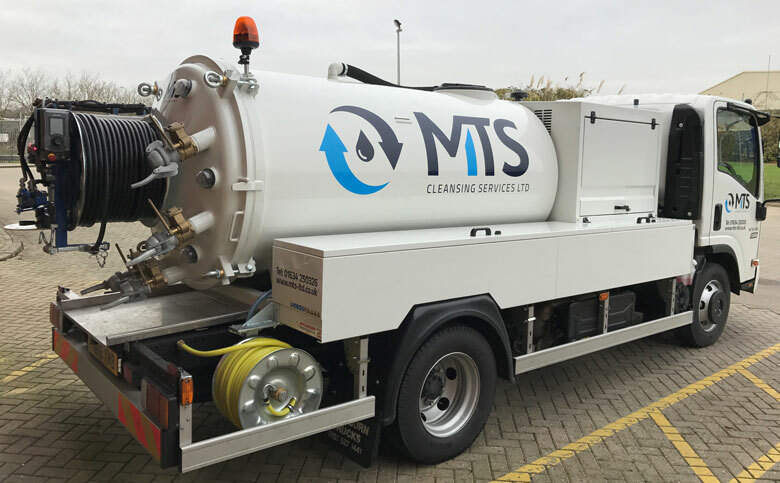 MTS Cleansing Services Ltd recently took delivery of eight new units that exemplify this idea. The company recently purchased four new Rioned Flexcom 7.5 tonne compact jet-vac combination units. Rioned’s rolling manufacturing schedule meant MTS could take delivery within six weeks of placing the order. Designed for single man operation, the units feature a high-performance vacuum pump and suction hose connecting to a 3,000 litre tank for immediate operation. The high-pressure pump configuration includes a hydraulically operated hose reel that pivots 180° for ease of operation, with 100 metres of high-pressure hose. The units also feature ample storage for hoses, CCTV units and for other tools. CCTV drain and sewer condition surveying is another key service that MTS provide for both commercial and domestic clients. The company operate a fleet of fully equipped CCTV units with cameras and equipment to cover pipe and drainage systems up to and including 2000mm diameter. As part of a regular vehicle refresh programme MTS purchased four new fully equipped CCTV units in late 2016.